Jerome L. Levine is a business and litigation attorney who has been involved in all aspects of gaming, casino and Indian law for over twenty years. He has been particularly active in the development of the firm's Indian gaming practice, providing legal counsel in over a dozen major Tribal casino projects and as a leading Tribal representative in Tribal-State compact negotiations in several states, including California, Oklahoma, and Washington State. Mr. Levine was lead counsel in State of Washington v. Chehalis, which resulted in making electronic gaming devices available to all tribes in that state. He has represented a number of Indian gaming organizations, including serving as corporate counsel to the National Indian Gaming Association (NIGA), the California Nations Indian Gaming Association (CNIGA), and the Washington Indian Gaming Association (WIGA). 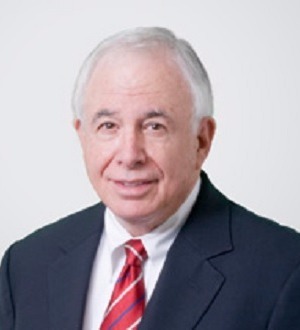 Mr. Levine was Chairman of the NIGA Task Force on IGRA Regulations and of NIGA's Law and Legislative Committee. He was also a member of the NIGA-National Congress of American Indians (NCAI) Tribal-State negotiating team which was formed several years ago to meet with the states' Governors and Attorneys General to examine critical issues under IGRA. Mr. Levine has organized, written and edited materials and been a speaker on numerous programs on gaming law, including national seminars on casino management, gaming regulation, casino employment and labor law, and gaming fraud. He has written several articles for Indian Gaming Magazine, International Gaming and Wagering Magazine, and is the Editor of the Indian Gaming Handbook, a popular four-volume reference set that has been distributed throughout the country and is in its sixth edition.